Today I wanted to spend a few minutes paying homage to an exercise I cursed for many years: Running. Prior to 2 1/2 months ago, I pretty much had accepted the fact that I was not cut out to be a runner. 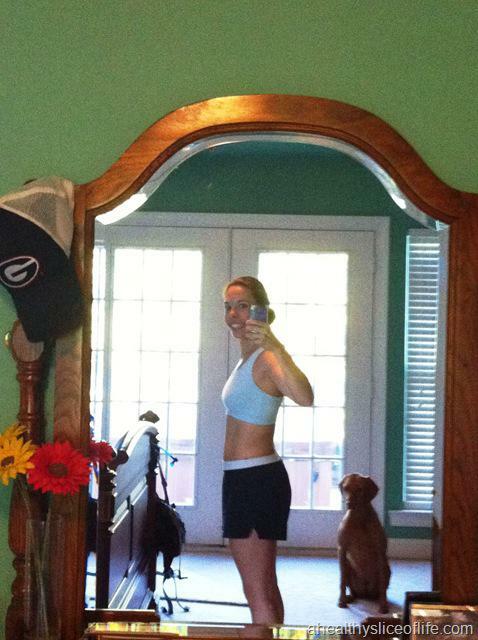 I had a million excuses: my wide hips put too much pressure on my knees, I had something wrong with my leg skin because it would get irritated when I ran (kid you not… I was serious), & surely I was in great shape, but just not a runner, after all, I wasn’t the tall, naturally thin, runner type. 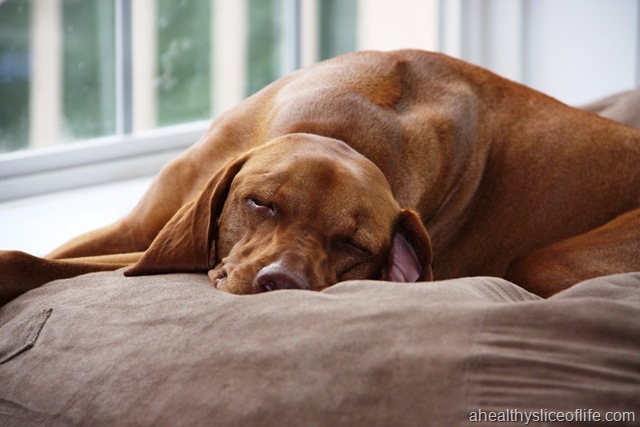 About that same time I began to immerse myself deeper in the world of healthy living blogs, and it seemed EVERYONE was a runner. Seriously? Was running a staple in healthy living? To answer the question, in my opinion, no, I don’t think it is, but I was intrigued. I saw women of all shapes, sizes and body types that were able to run. Suddenly my competitive side began to kick in (think Monica from FRIENDS). Surely if all these people can do it, I can too! … right? 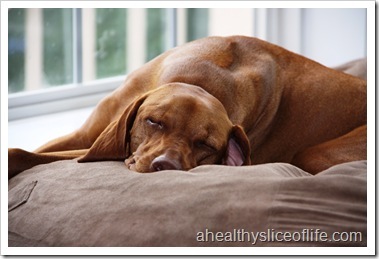 I had heard of the Couch to 5k program before via word of mouth and decided to look into it. I saw it was available for download to the iPhone, and since I just bought my iPhone and was an app-downloading addict, this seemed like the best option for me. Easy peasy, right? My notes from that day? Wow. I was only jogging for 60 seconds! And I thought that was hard? Plus the excuses… the heat… my knee… wah wah WAHHHH. I share this because for you non-runners out there, I want you to know I was there. It was truly hard for me. From here I created a term: wogging. A combo of walking and jogging. 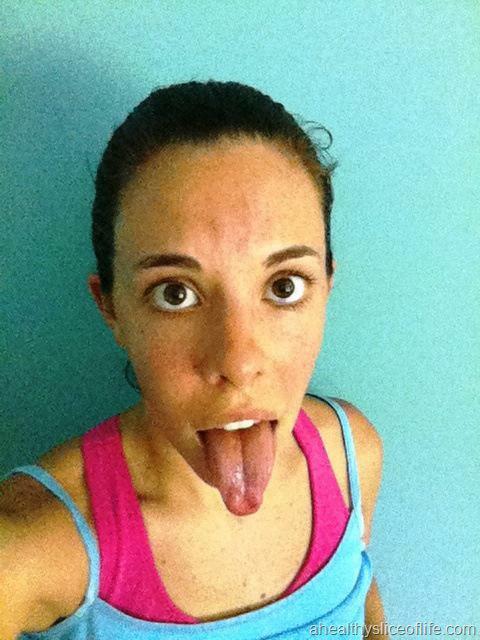 I certainly didn’t feel like a runner yet, but I was turning into an incredible wogger! Time passed and I stuck to the schedule: three days a week. Even if it meant waking up earlier than usual to beat the heat. I felt my endurance building and it seemed I was improving. Some days I felt like a champ, like HERE, and others I almost wanted to throw in the towel, like HERE. But most importantly, I stuck to it. 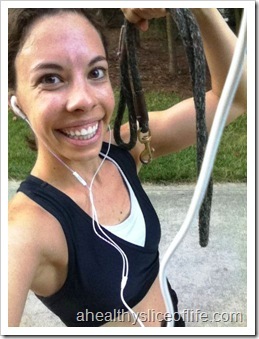 Changes happened over the past 3 months… I went from a 60 second jog to a 30 minute run! I can’t remember the last time I’ve been so proud of myself. I know I didn’t cure cancer, but I transformed myself into a runner when I had never been able to run more than 60 seconds in my entire 27 years! Some benefits I found aside from a swelling ego? more toned thighs : my thighs have always been my “trouble zone”. Since running, they have really shed some fat and gained definition. My pant legs are looser, and I won’t lie, this makes me SO happy. a more muscular mid section : I won’t say I lost weight (because I really haven’t on the scale), but I feel less flabby all over. My waist isn’t smaller, but it’s tighter. And that feels good. the drive to keep it up : now that I am a runner (I can’t tell you how fun that is for me to say!! ), I have such motivation to keep it up and add on another challenge. 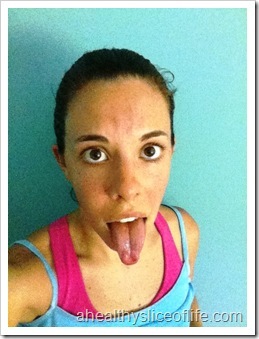 I love that I have been bit by the running bug! 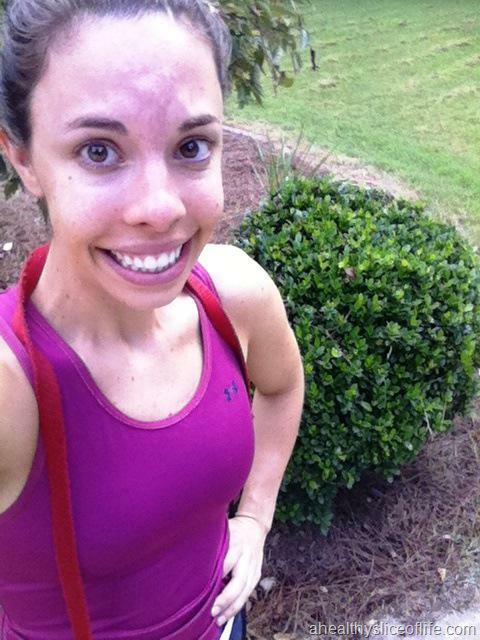 This post was a bit lengthy, but I really wanted to highlight that I’ve never been a runner. I tried and failed in the past, but now I can proudly say I am a runner. With the help of Couch to 5k, I can run for 3 miles straight. Are you a runner? Did it come to you naturally? Or did you have to work at it, like me? What is your best running tip you could share with me? I haven’t ran in weeks, but when I first started I had to do a similar walk/job combo for a few weeks. I didn’t use time, I just used the laps at a park near my house. I would job 1 lap, walk 1 lap, etc. each lap was 1/2 mile. It was tough at first, but eventually it got easier. Best running tip? Track your progress (like you did with your notes) — that is one thing I wish I had done. I know I’ve had a lot of great runs and some bad runs and it would be interesting to look back and see what the problems were — weather, pre run fuel, lack of sleep, etc. I think you can learn a lot from notes like that! Very proud of you! Running adds something special to one’s life, as does any quality exercise. I agree with Holly about tracking your progress. I did that and ended up running a marathon! Keep up that wonderful habit – even in Germany next week!! I say you definitely do not need to run to be healthy! But there is a reason so many people are in love with it, and I’m glad you have it enough of a chance to get some of those benefits!! It’s totally normal to have days where you want to give up – no one has a perfect run everyday. I think the key is not letting those rough days get you down, and also mixing it up — running is awesome, but I don’t think I could ever be as in shape from solely running as I could be from a combo of running, yoga, and strength training. Good for you for sticking with the plan – you have a lot to be proud of!! You are simply amazing. This is a beautiful feature. Take a moment and celebrate how far you’ve come and look at ALL the changes you’ve made. I am very, very impressed. This is a great post! So happy for you! You definitely look like you have a glow to you now that you can call yourself a runner. Running never came aturally to me either. I’ve always had to work much harder at it than most people I know, but I do continue to work at it. My biggest tip is to run when you feel at your best. Some days, it’s just not in me, and when I force it, it turns out to be a bad run, but when I feel great – I have amazing runs. Keep it up! I can’t wait to see how you progress! And I think we are at the same level too – I’ve only run about 3 miles at the moment as well. I definitely had to work at it.. and I still have to work at it!! Training for my first half marathon is suchh a new experience for me and these long runs definitely have moments where you are being tested mentally. Congrats to you!! Rock star! I pretty much have the same story and am up to 8 miles. I can’t believe I can run that long. So easy for some, but a HUGE accomplishment for me! I don’t consider myself a runner even though I have ran 6 miles before—but I think its just bc I dont love it, so Idont think of myself as a runner. I do start running when Im ready for a good challenge though! Congrats! 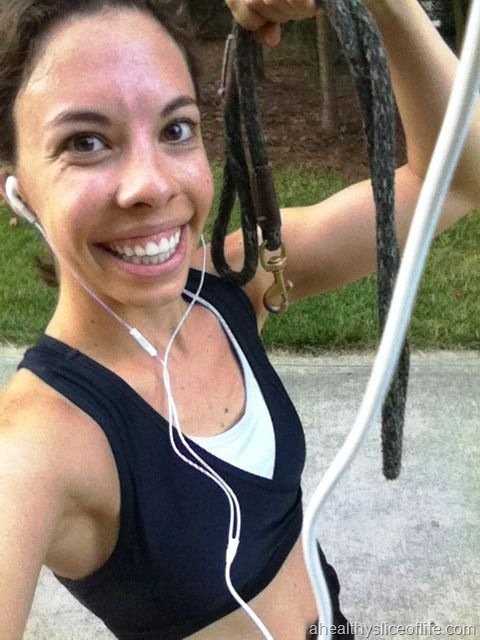 I’m sure your running buddy loves your new found passion! I’ve been a runner since college, when I decided I needed to work on exercise. It has always come pretty easy for me, although now that I’m getting older, I’m feelin’ it a bit in my knees/hips. I am most certainly NOT a runner. As a matter of fact, it was my arch nemesis for most of my life. I’ve tried several times to become a runner and failed. It wasn’t until this most recent attempt, when I left C25K on the treadmill and took to the streets that I finally got into it. It is still a challenge for me. I still have days where I am really into it and days when I never want to run again. It’s interesting to me how many ups and downs there are with running. I love the feeling of race day though. That is the absolute best! I am not a runner and like you, I always said, “I can’t run for that long” with a long list of other excuses. A few months ago I attempted to begin running/jogging, but in the process injured my hip. I think I was trying to go too fast in such a short time. I’ve also been told it could be my stride length that is too big. I hope to attempt it again as soon as my hip heals. So proud of you! What an accomplishment! I used to be a runner but now I just exercise. It’s just too hard on my knees and I know that’s an excuse but I just do better with aerobics or lower impact exercises. For myself, I feel more toned all over from doing a mix of activity than when I was just running. BUt everyone is different! I wish I could be a runner again…just know it’s not for me anymore! I was a runner. 😕 I did a 5k run back in May and I’ve only ran a little bit since. Honestly, my hips have been hurting pretty badly. I am doing yoga now a little more regularly and intensly, so I am hoping that helps! No joke, I had myself convinced I was ALLERGIC to running because I got itchy every time I tried. Turns out I was just pushing too hard too fast. The C25k plan helped a lot with that. I’m excited to keep going and see if I can improve my time for my “faux” 5k in October! I’m bummed that we missed seeing each other at Oktoberfest, but that place was a madhouse! I had fun too, but could have done without the 90+ degree temps. SO HOT!! 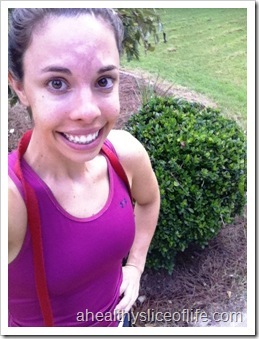 I love your running story! I can relate to your story so very well. And what an accomplishment for you! I started running about 1.5 years ago as a way to lose weight, and it was tough. I still continue to work at it, some days are easier than others. My advice is to keep a posative attitude. Not all runs are going to be the best, but you can do anything you put your mind to. Keep up the good work! Such a great story… I’m glad that you have taken the time to step back and appreciate your accomplishments. It doesn’t matter who is the fastest, strongest or bestest (? ), what matters is YOU and if you are enjoying it. That’s something I’ve learned with time. I’ve always been a “runner” in some form, but I never thought I had much endurance. Now that I am away from competitions, I’ve realized there is more to running that winning. congrats, girl, running is awesome!!!!! i started running when i realized i could walk as fast as some runners (i’m not kidding.) it took about 30 seconds before i fell in love. This is great! 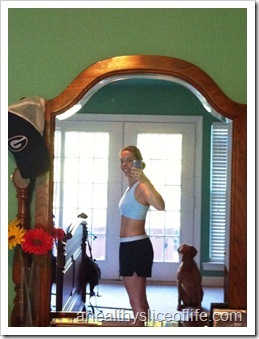 I am pinning now, but I am also going to share it with my clients who are just starting out running!